Musings of a Menopausal Melon - mmm! quilts: Orphan Adoption Winner! Wow, you ladies have sure inspired me with all the charity opportunities that abound. Truly. I even thought, and I hate to admit it, and if Cynthia reads this, she will burst out laughing (again), "Maybe I should keep these squares and the black and sew up a quilt for (insert name of awesome charity here). Seriously. However, I slapped myself up side the head, and said, nope, woman, you have another set with which you can do just that! How did I come up with 17 when there are 21 comments? Well, 4 commenters, you will notice, did not want the blocks, just made a comment. So they were out of the drawing. When I figure out, with the New Bloggers' Hop help I'm getting (notice some more changes?) how to number my comments, giveaways will be much easier. 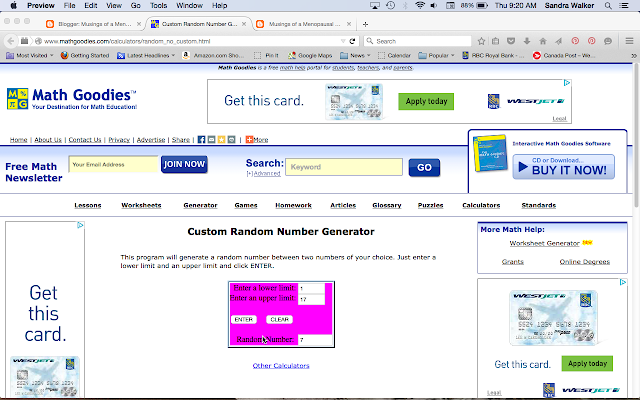 So I just skipped them in my numbering system and counted down to #7 by hand, (not including Linda C or Cynthia) which meant JoEllen won. Thanks, Linda, for suggesting (reminding me, duh) to insert her comment. ALS silent auction, a most-worthy charity. So, JoEllen, I'll shoot you an email in a few minutes, get your address, and I can send these off to you asap! 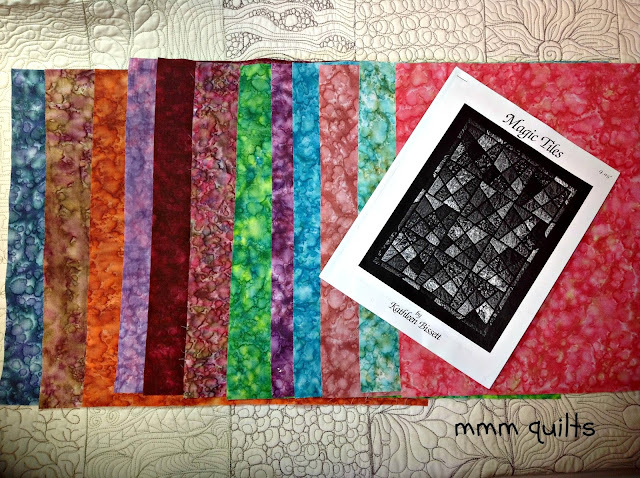 My only hope is to please please send me a photo of the finished quilt! Thank you to everyone for writing your comment, for telling me about your charity or charitable ideas for a quilt. And thank you to Cynthia at Quilting is More Fun Than Housework, for dreaming up this great idea. There is a great site, The Minimalists, that Lara of Buzzin' Bumble sent me during a conversation we were having, and this site is well worth a look. Take a look at their post on an expensive watch purchase or The Minimalist Game. Thought-provoking. Purging, getting rid of stuff one no longer uses or needs is rather liberating! Good for JoEllen! Maybe you could insert her comment in here, like you did the last time you had a giveaway, so that all the readers can see which charity she has chosen! I will be sure to check out that great website you mentioned! Glad you like The Minimalists as much as I do Sandra. You would not know it from looking at our home though. Congrats to JoEllen and Sandra! Both of you are angels for participating in the event and getting a pile of fabric off the shelf and into a finished quilt - for a great cause I might add! Thanks so much! !